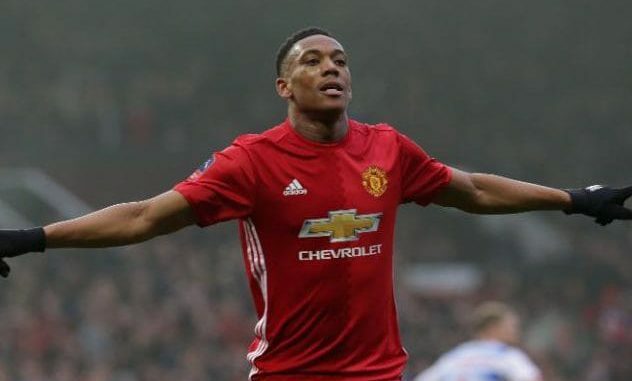 Manchester United manager Jose Mourinho has reportedly shelved his plans of recruiting a new forward in the New Year owing to the impressive form of Anthony Martial. The France international notched his eighth goal of the campaign during the 4-2 win over Watford, thus matching his tally from the entirety of the previous season. According to The Independent, Mourinho had initially planned to pursue a new forward in January after having failed with the pursuit of Inter Milan’s Ivan Perisic last summer. However, the form of Martial in the past few months has convinced the Portuguese to revisit his plans with the Frenchman putting in a string of top-notch performances. Martial initially started as a regular from the substitutes’ bench, but he still popped up with regular goals which earned him the club’s Player of the Month accolade for September and October. Since the international break, the 21-year-old has started four consecutive games for United, and he has ‘clicked’ to the manager’s style of play. The former Monaco ace was preferred ahead of Marcus Rashford for the 4-2 defeat of Watford on Tuesday night, but there is a possibility that Mourinho could play start both attackers if he reverts to the usual 4-2-3-1 formation at Arsenal this weekend.